The video above was taken at the University of Rochester on February 27, 2009, by Adriano Contreras of The Sitch. It focuses on similarities and differences between Israeli and S. African apartheid. The article below, “Is Boycotting Israel Anti-Semitic?” also appears as my column today in Socialist Worker. 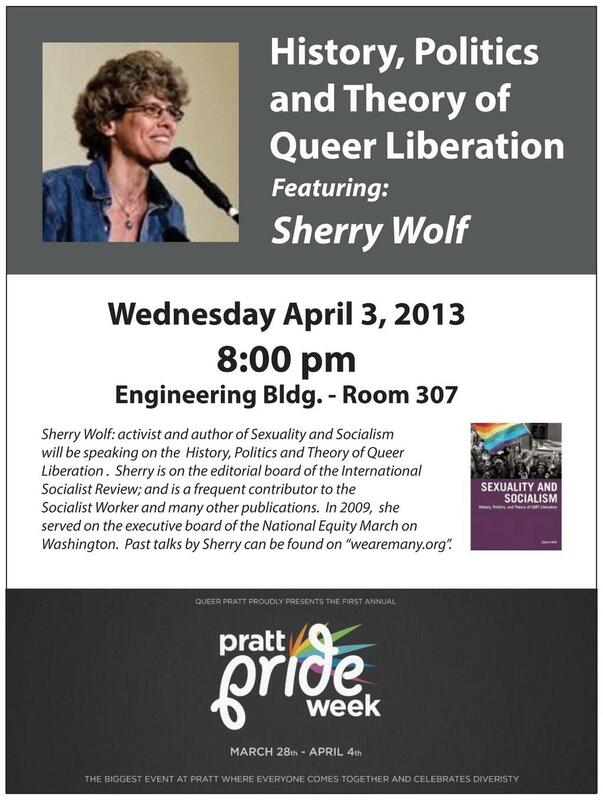 Sherry Wolf , a member of the International Jewish Anti-Zionist Network, is a public speaker, writer and activist who is available to speak on Palestine, Sexuality and Socialism, How Can We Unite and Fight the Right and other topics at your campus, community center or union hall for a moderate fee. Wolf is the associate editor of theInternational Socialist Review and author of Sexuality and Socialism: History, Politics and Theory of LGBT Liberation(Haymarket Books, named one of theProgressive’s “Favorite Books of 2009”). Contact Sherry at: sherrywolf2000 at yahoo.com or find her on Facebook. Check out the video of Sherry speaking with Cleve Jones and the cast of Hair at the National Equality March. How Do You Make a Bomb With a Kazoo? Fresh meat, wood and kazoos are among the dozens of items banned in Gaza by the Israeli state under the pretext that weapons could be made of them to attack Israelis. To be fair, kazoos are not specifically mentioned—though fresh meat and wood for construction are—but ALL musical instruments are banned from the Strip and I figure even a strapped American student can purchase a kazoo from a 99-cent store. In fact, in the Kafkaesque world of Israeli state sanctions on Gaza no actual list is published and the banned items must be deduced from the day-to-day practices of the authorities. An up-to-date list is maintained at Gisha. This week marks exactly three years since Gaza, the open-air prison camp of 1.5 million, was named an “enemy entity” by its warden, the Israeli state. While the policies that have isolated and stranded Gazans in a Mediterranean hell began in 1991, they have intensified since Hamas took control in 2007 following elections that all international observers agree were democratically run. Wrap your brain around that for a moment. Nineteen-year-old Gazans—the age of many college sophomores—have only known stultifying restrictions on their movements inside the territory. A generation was born and has now reached maturity never having traveled even as far as the 48 miles between Gaza City and Jerusalem. In attempting to render Hamas a pariah leadership to Gazans, Israel has not only created a humanitarian catastrophe, but actually strengthened the hand of its stated enemy. 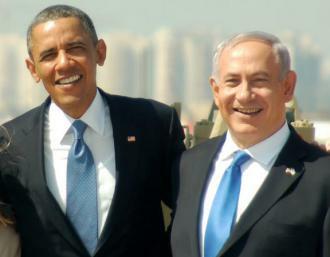 The formal banking sector obliterated, Hamas stands as “the key financial middleman,” according to Roy. In Mavi Marmara, Israeli journalist Amira Hass adds that the rule of Hamas only grows stronger as the desperation serves to concentrate their power, if not their popularity. Israeli state propagandists would like everyone to believe that even Jews in solidarity with Palestine are secretly in cahoots with Hamas. They talk as if secular reds like me raised on Bar Mitzvahs and basketball want to drive Jews into the sea. What? Why would I want to push my parents into the East River? Or the Mediterranean?! Listen. We on the left are accustomed to taking on sisyphian tasks like ending imperialism or stopping global warming. This is not one of them. Ending the siege of Gaza—breaking the blockade—and establishing basic human norms for Palestinians is within our reach. Last week, even the British Trades Union Council voted to extend its boycott of Israeli goods in solidarity with their brothers and sisters in Palestine. Ever since the killing of nine humanitarian aid activists on the Mavi Marmara flotilla ship on May 31, 2010, the movement has expanded to include European governments and students worldwide. We must act with clarity of vision and urgency to expose Israel’s crimes and build the boycott, divestment and sanctions movement. You can even start with a card table and a kazoo. If you’re in the NY Metro area, come out to the Siege Busters’ Ball fundraiser Tuesday, Sept. 21, at Littlefield’s in Brooklyn. And do not even think of missing out on the book launch for Midnight on the Mavi Marmara the following Tuesday, Sept. 28, at 7PM, with a panel that includes an embarrassment of riches: Moustafa Bayoumi, Rashid Khalidi, Arun Gupta, Max Blumenthal, Phil Weiss, Adam Horowitz, and Alia Malek. Sherry Wolf is a public speaker, writer and activist who is available to speak on Breaking the Siege of Gaza at your campus, community center or union hall for a moderate fee. Wolf is the associate editor of the International Socialist Review and author of Sexuality and Socialism: History, Politics and Theory of LGBT Liberation (Haymarket Books, named one of theProgressive’s “Favorite Books of 2009”). Contact Sherry at: sherrywolf2000 at yahoo.com or find her on Facebook. Check out the video of Sherry speaking with Cleve Jones and the cast of Hair at the National Equality March.